The most important tip here… don’t try anything new! 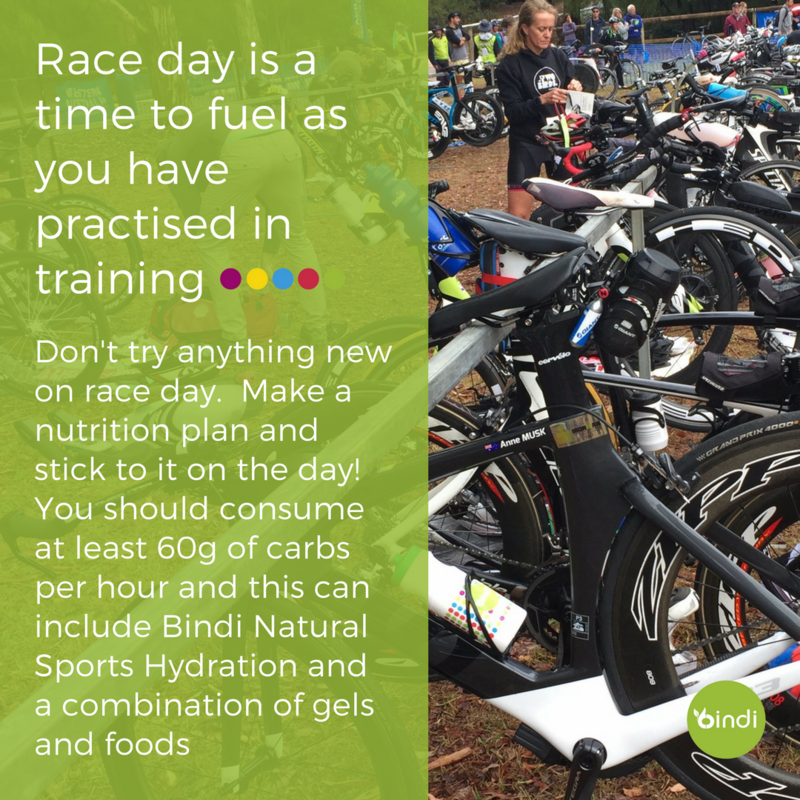 By the time you get to race day you should have practised all your nutrition in training and race day is the time to roll out the plan. Ensure you are sufficiently carb loaded in the days prior to your race and eat a carb rich breakfast well before race start. Once you are out of the water, don’t be afraid to settle into the bike and get your heart rate down before you try eating – this can take as long as 20 minutes in an Ironman event. Consider writing your nutrition plan out hour by hour and sticking it on your bike so there is no chance you will forget it as your brain fatigues throughout the race. The last 20 minutes of the bike is a great time to do a nutrition check – have I had all my fluids? Carbs? Electrolytes? Enough salt? Remind yourself of your run leg nutrition plan to ensure you get off the bike in great shape and smash that run!